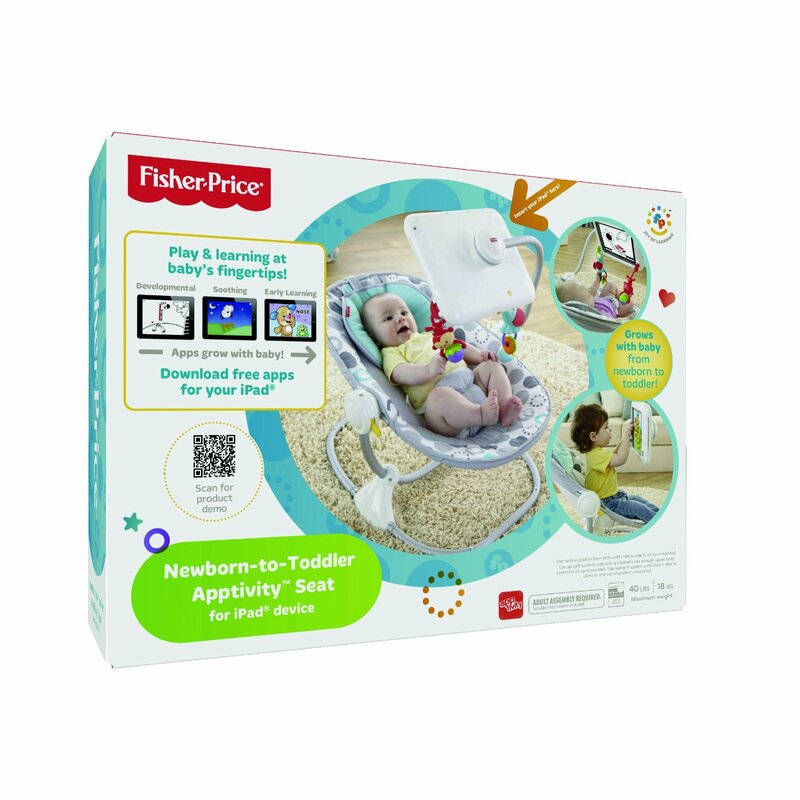 As the holiday shopping season approached, Fisher Price made headlines for introducing its Fisher-Price Ipad Seat . No, it wasn’t lead paint or faulty safety straps that made the headlines. It was the inclusion of an iPad attachment in the seat, encouraging parents to strap their kids in and put on videos or games for entertainment. This was what prompted the Campaign for a Commercial-Free Childhood, an advocacy group based in Boston, to call for a recall of the toy. People’s displeasure with the product also led to numerous one-star ratings on Amazon.com . Why All the Controversy About a Baby Seat? Detractors cite the fact that today’s kids are surrounded by media from birth. The American Academy of Pediatricians estimates that the average child spends seven hours a day with entertainment media, and they indicate that excessive use of media can lead to a range of problems, from attention disorders to obesity. Yet not all TV viewing is not a bad thing. According to TVproviders.com, television can have a positive influence on children. Educational programs help kids learn about the world in a way they can understand. So the question is not whether children should be watching videos and TV, but rather how old they should be before they start and how much they are consuming. HealthyChildren.org warns that television viewing has a profound impact on a baby’s growing brain. Children’s brains triple in size between birth and 12 months. The stimuli they are exposed to influences that development, and images on screens do not behave in the same way that the real world does. Babies can’t understand the images on a screen as a result. They are fascinated by the glowing lights, but they glean nothing from them. Also, screen viewing before age two has been shown to shorten memory, impact language development and harm reading skills, because it prevents children from meaningful interaction with caregivers. It can also have a negative effect on attention and sleep patterns. Because babies are not interacting with the world around them when staring at a screen, they miss out on important developmental cues their brains need to grow. Even turning the TV on for background noise can limit language development. Adults speak an average of 940 words per hour when a baby is in the room, but that drops to 770 when the TV is on, so young minds aren’t learning. Because of this, the American Academy of Pediatricians recommends no television or video viewing before age two. The AAP recommends that parents establish “screen-free” zones at home by removing all televisions, computers or video games in children’s bedrooms. This my be a difficult proposition for many, but worthwhile to help your child’s development. In replacement, they can offer educational outlets in non-electronic formats. It is recommended that even children and teens should engage with entertainment media no more than 1-2 hours per day. In light of these facts, parents are shunning the new Fisher-Price infant and toddler seat. While it may be advertised as the ultimate electronic babysitter, the seat will do more harm than good for the target market. Media is educational and helpful to kids, but only when they are old enough to benefit from it. Simple put: Parents, don’t be lazy. Play with your kids. I-pads for babies? This is getting out of hand. Talk to our baby, or let them hear some natural sounds, not computer generated ones. Saw many weird things in my whole life but this thing actually beat every experience….Is it really gonna come in the market and what a baby will do with such an expensive product.Don’t know what they were thinking at the time of making such a rubbish thing actually. I’m sure that these are almost ‘joke’ products – to see what people’s interest in them would be.